Torso mannequin of woman with Eve’s head. Mannequin Collection About Display. 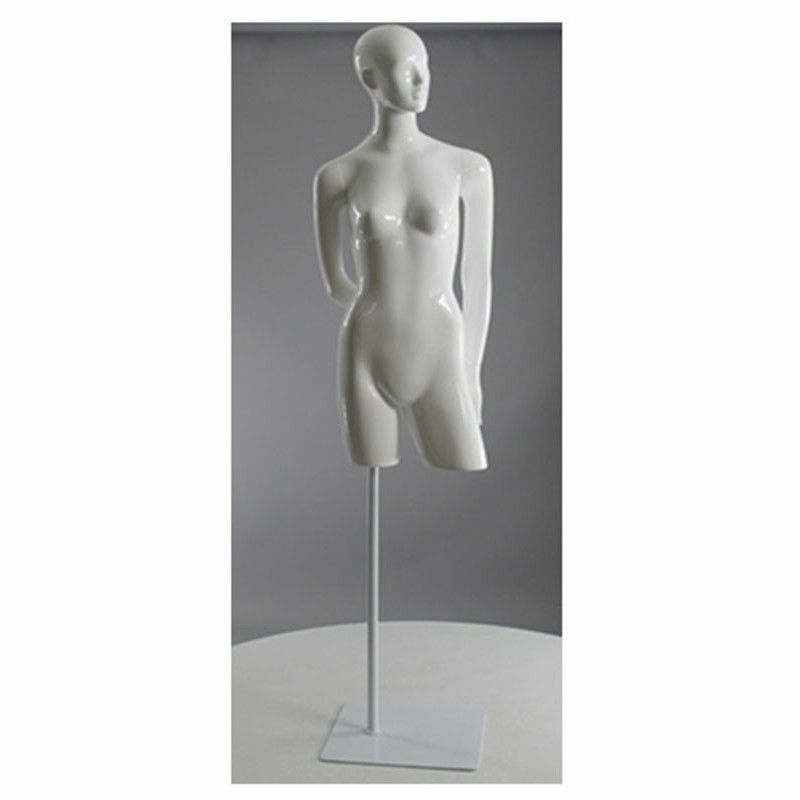 This mannequin torso woman is currently in stock in glossy white. It comes with a white painted metal base. You can repaint the torso dummy and the base in the color you want to customize your windows. This mannequin is upright, arms behind his back. It is superb to put your clothing collections and sublimate your windows. Mannequin Torso of woman head with Eve. Mannequin Collection About Display. Currently available in stock in glossy white with a painted metal base in white. Possibility to repaint this mannequin torso and base in all colors.